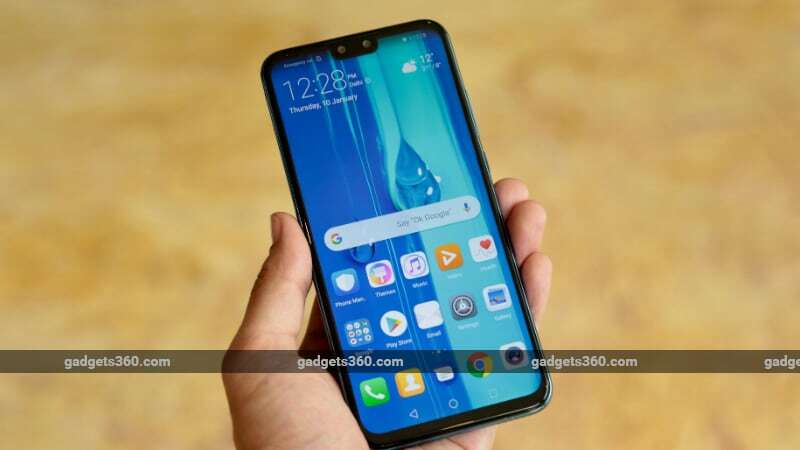 Huawei has kicked off its 2019 innings with the launch of a new mid-range smartphone in India. Dubbed the Huawei Y9 (2019), the smartphone was launched in China back in October 2018 and is the successor to the Y9 (2018). The latest smartphone from the Chinese smartphone giant, which overtook Apple to become the world’s second largest manufacturer in 2018, is powered by Huawei’s custom Kirin 710 SoC and features AI-enhanced cameras, a notched display, dual rear and front cameras, and Android 8.1 Oreo out-of-the-box. Priced at Rs. 15,990, the lone variant of the Huawei Y9 (2019) with 4GB of RAM and 64GB of internal storage is set to go on sale exclusively via Amazon India from 15th January onward. We got to spend some time with the Huawei Y9 (2019) at its launch event in New Delhi and here are our first impressions. The Huawei Y9 (2019) fits comfortably in the palm of the hand and feels chunky and solid. The plastic back has a high-gloss finish in a bid to imitate glass. It looks sleek and stylish but gets smudged very easily. A case is recommended to enhance grip, as the phone is very slippery. There are two colour variants on offer — Midnight Black and Sapphire Blue. The vertically oriented dual-camera module is located in the upper right corner of the smartphone, with the words AI camera emblazoned underneath it. There’s also a centrally located fingerprint sensor and a Huawei logo on the bottom right. The power button and volume rocker are placed on the right edge of the phone, and the left side houses the SIM tray, which has separate slots for two Nano SIMs and a microSD card. In our limited time with the device, the display seemed to have adequate brightness, good viewing angles, and punchy colours. Huawei offers two colour modes for the display — Normal and Vivid — and users can also calibrate the colour temperature according to their own preferences. There’s also an Eye Comfort Mode which reduces harmful blue light. A detailed analysis of the display will have to wait till we conduct our full review. The Huawei Y9 (2019) is powered by Huawei’s new Kirin 710 mid-range processor which was seen in Huawei’s Nova 3i (Review) last year. Other specifications include 4GB of RAM, 64GB of internal storage which can be expanded using a microSD card (up to 400GB), and a non-removable 4,000mAh battery. Huawei has retained the legacy 3.5mm headphone jack, which pleases the audiophile within us. It still uses the old Micro-USB standard for charging and data transfer, which is rather disappointing, especially considering competitors like the Nokia 6.1 Plus₹ 14,999 (Review), and Motorola One Power₹ 14,999 (Review) use the new USB-Type C standard. In our limited time with the Huawei Y9 (2019), it performed admirably, with smooth UI animations and minimal app load times. Huawei’s GPU Turbo technology is also on board, which the company claims improves graphic processing efficiency by up to 60 per cent. We will test these claims and see how the phone performs in our full review, when we can push the device, run games, and perform benchmarks. The Huawei Y9 (2019) runs Honor’s EMUI 8.2 skin atop Android 8.1 Oreo. The lack of Android Pie out of the box in 2018 is quite disappointing. EMUI is smooth and fluid, but the software experience is let down by the sizeable amount of clutter and bloat. Camera 360, Facebook Messenger, Netflix, and Lords Mobile are pre-installed and there are a bunch of Huawei’s own applications that perform the same function as Google’s own. As mentioned above, the Huawei Y9 (2019) has a 4,000mAh battery, which the company claims is good for 52 hours talk time, 65 hours music playback, and 9 hours gaming. While these numbers sound promising, we will have to wait and see whether they translate to the real-world. The smartphone supports face recognition, which worked seamlessly in our limited experience. The rear-mounted fingerprint sensor was also snappy and accurate. The camera app is loaded with features such as intelligent scene detection, a fully featured Pro mode, AR stickers, filters, light painting, panorama, and time-lapse. There is a dedicated night mode as well which allows you to tweak the exposure and ISO. 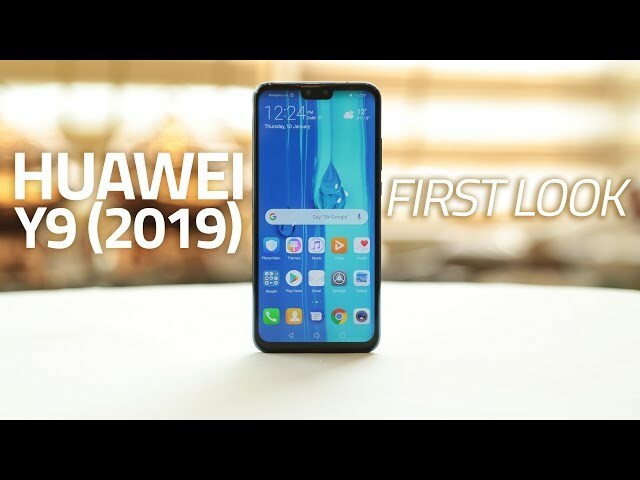 Huawei’s flagships are known for their camera quality and we will have to wait and see whether this mid-range smartphone also delivers on this front. Priced at Rs. 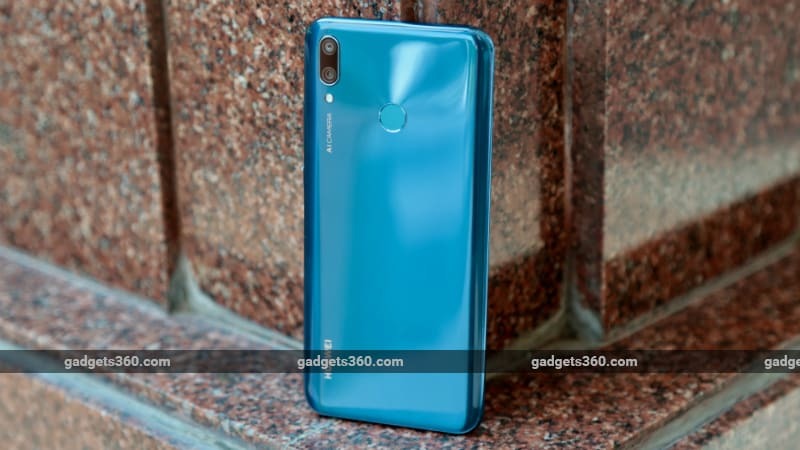 15,990, the Huawei Y9 (2019) is sure to face stiff competition from capable smartphones like the Nokia 6.1 Plus (Review), Xiaomi Mi A2₹ 13,999 (Review), and Motorola One Power (Review). On paper, the new Huawei smartphone seems like a solid all-rounder, but does it have a USP that will help differentiate it from the crowd? We will soon be able to test the device extensively, and pass a final verdict. Stay tuned to Gadgets 360 for our detailed review of the Huawei Y9 (2019).